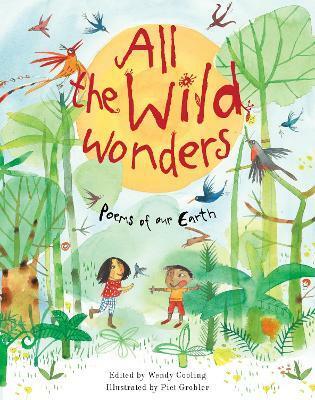 In this celebration of our Earth, distinguished anthologist Wendy Cooling has chosen poems to make children look, think, and ask questions. Why are trees so important? How are motorways damaging our countryside? What can we do about rubbish? What can we do to protect our Earth for the future? Strong, colourful illustrations combine to make this a gift book with a difference. Wendy Cooling is a highly respected figure in the children's book world. A former teacher, she is the founder of the Bookstart programme and has edited story collections for Puffin, Orion and Collins, poetry anthologies for Franklin Watts and has retold traditional tales for Barefoot Books. Wendy lives in Hertfordshire. Piet Grobler grew up on a farm in Limpopo, South Africa. After working as a church minister, he made a career in illustration and now lectures at the University of Worcester. He is the recipient of many international illustration awards, including the IBBY Honours List. His books for Frances Lincoln include The Great Tug of War (9781845070557), Aesop's Fables (9781847800077) and Who Is King? (9781847805140) with Beverley Naidoo, Fussy Freya (9781845075118) with Katharine Quarmby, The Magic Bojabi Tree with Dianne Hofmeyr (9781847805867) and All the Wild Wonders (9781847806260) and A is Amazing (9781847805133) with Wendy Cooling.